Thank you to the National Frozen & Refrigerated Foods Association for sponsoring this post! Fire up your grill for a fresh and flavorful snack that kids and adults will love! 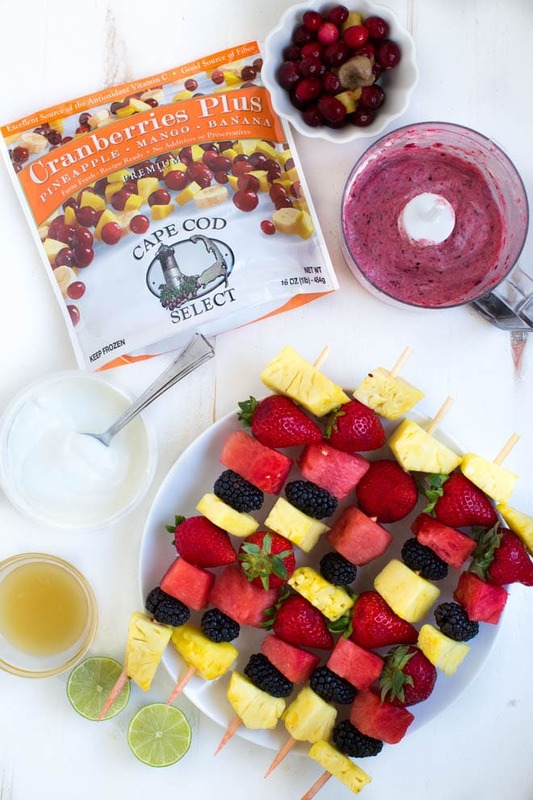 Grilled Fruit Kabobs with Tropical Cranberry Fruit Dip are a summertime treat that is good for you too. Summer is right around the corner and I’m always looking for fun summertime snack options! 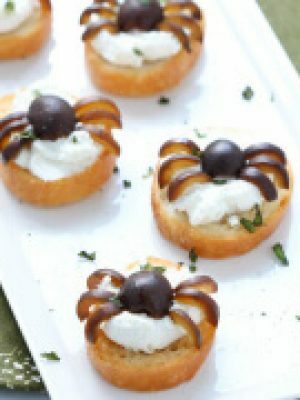 With warmer weather I crave refreshing and flavorful treats. 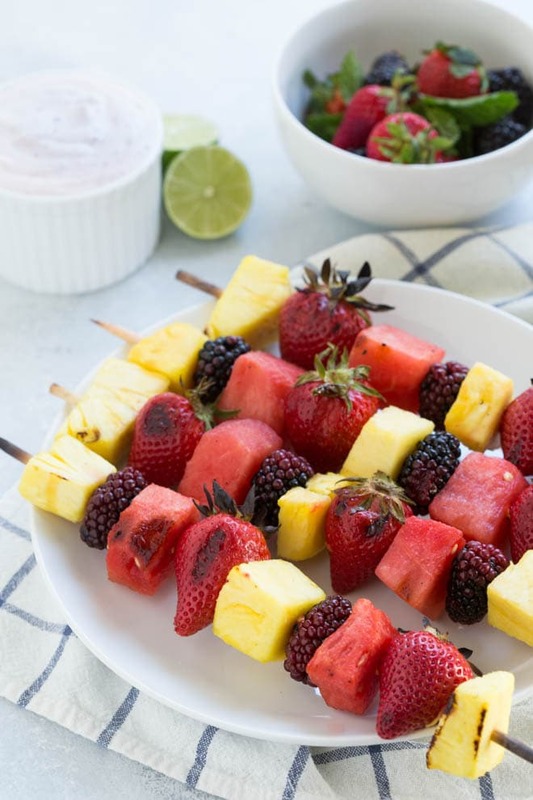 Grilled Fruit Kabobs with Tropical Cranberry Fruit Dip are an easy snack or dessert option. They are great for brunch, parties and picnics. Grill your favorite fruit with a simple honey lime glaze. 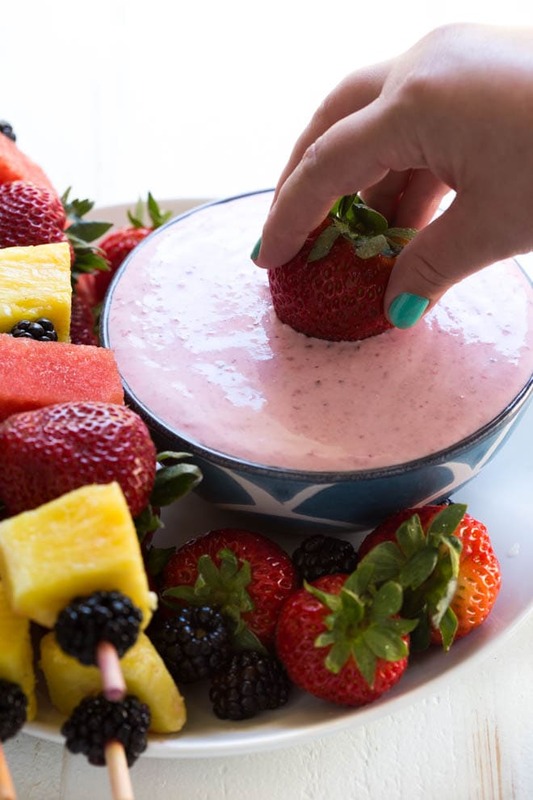 Serve with an easy, four-ingredient dip made with cranberry and tropical fruit flavors. 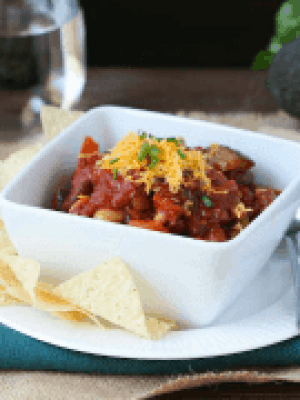 For this recipe, I partnered with the National Frozen and Refrigerated Foods Association (NFRA) as part of the Cool Food Panel to bring you a summertime treat. Snacks and desserts with fresh fruit flavor are always my favorite to enjoy during warmer summer days. 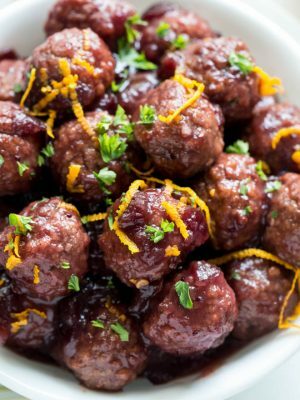 Some of my favorite flavors are packed into this recipe. The fruit kabobs take less than 10 minutes to assemble. You can even prep them in advance and store in the refrigerator until you are ready to serve. The dip combines Cape Cod Select Cranberries Plus Pineapple, Mango and Banana with Coconut Noosa Yoghurt and homemade whipped cream. 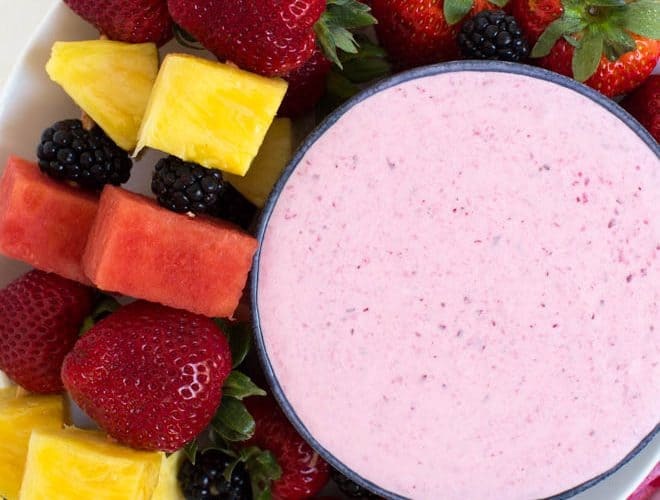 You can find the frozen fruit blend in the freezer aisle of your local grocery store. I love that the blend combines cranberries, pineapple, mango and bananas. The frozen fruit is pureed and mixed together with the yoghurt and homemade whipped cream. The coconut flavor adds a tropical twist that is great for summer. Keep the fruit blend on hand to add fresh cranberry flavor and nutrients to your meal all year long. Find the yoghurt available year round in the dairy section of your local grocery store. Try a fun new recipe this spring or summer by firing up your grill to make these Grilled Fruit Kabobs with Tropical Cranberry Fruit Dip. 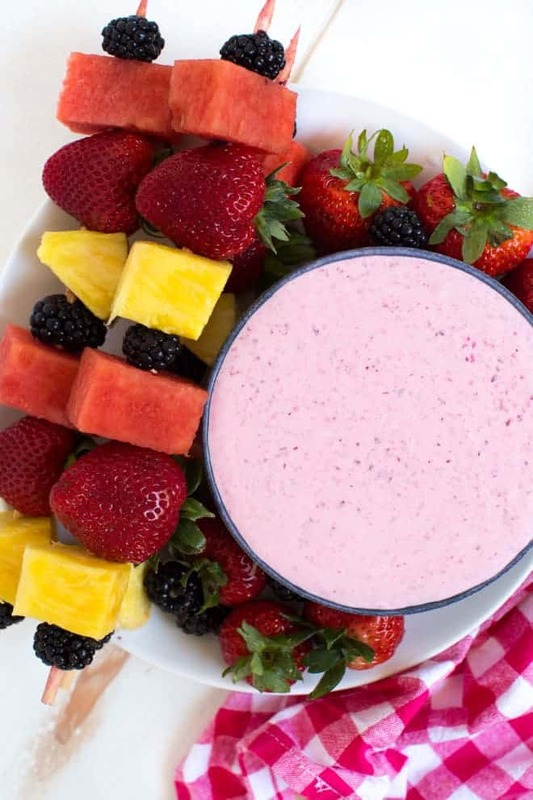 Experiment with different combinations of flavors by using your favorite fruit, including everything from watermelon and pineapple to peaches and strawberries. You can even use a different flavor of Noosa yoghurt to make your own unique dip. If you are preparing this recipe for a group, you can easily double the recipe to make a larger batch. Or you can double the recipe and store the dip in the refrigerator for up to three days. For more mealtime inspiration, visit EasyHomeMeals.com and follow on Facebook, Twitter, Pinterest and Instagram too! In the bowl of a stand mixer fitted with the whisk attachment, beat the heavy cream on medium speed until frothy. Add the confectioners’ sugar, increase speed to high and beat until stiff peaks form. Set aside. 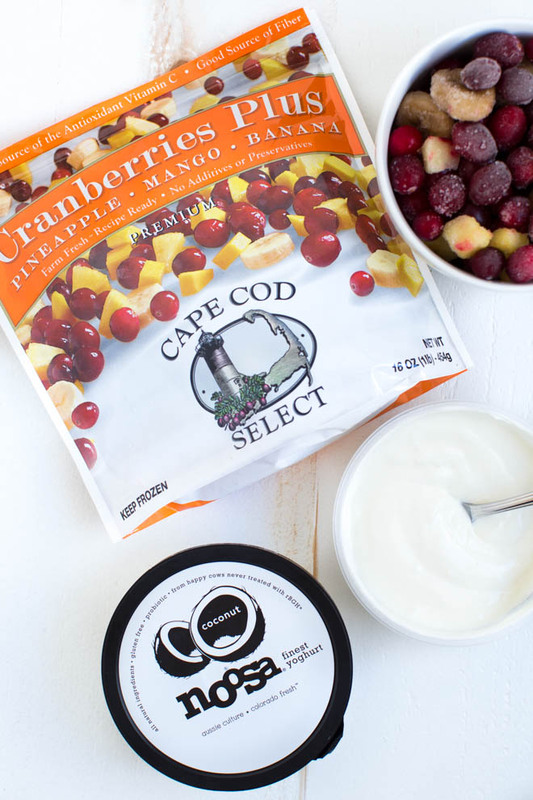 Add the Cape Cod Select Cranberries Plus Pineapple, Mango and Banana to the bowl of a food processor. Pulse until well blended. Add two tablespoons Noosa yoghurt and pulse until the mixture is smooth. Transfer the pureed fruit and yoghurt blend to a clean bowl. Add the remaining yoghurt and stir until combined. Gently fold in the whipped cream until well incorporated. Chill the dip in the refrigerator until ready to serve. Preheat the grill to medium-high heat. In a small bowl, whisk together the honey and lime juice. Thread fruit onto skewers and brush with honey lime glaze. Place skewers on heated grill and close lid. After cooking for 5 minutes, turn skewers and let cook until softened. Remove skewers from grill and cool slightly. 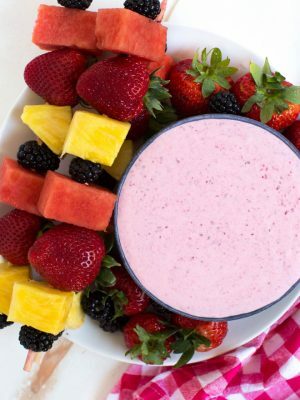 Serve immediately with fruit dip. Enjoy! Use any of your favorite fruit. This post was created in partnership with the National Frozen & Refrigerated Foods Association as part of the Cool Food Panel. As always, all opinions are my own. Wow. just wow. everything looks delicious in this blog. Thanks stumbleupon for taking me here :)Robin. Those kabobs are beautiful!! And I'm all about cranberries all the time, so that dip looks delightful!